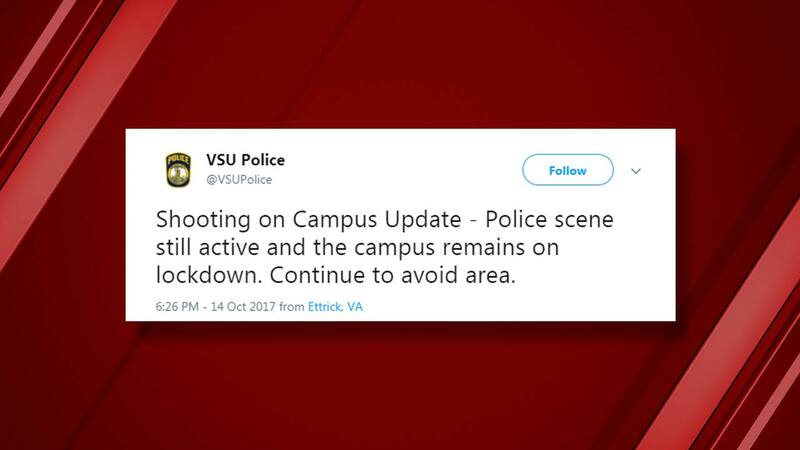 PETERSBURG, Va. -- Authorities say a lockdown has been lifted on the campus of Virginia State University following a shooting that left one person injured. Virginia State University Police say via Twitter Sunday morning that "Police have cleared the scene. Officers will remain vigilant. Campus lock down has been lifted." The Chesterfield Police Department previously said in a statement the incident happened about 8:25 p.m. Saturday. They said responding officers found a man suffering from a gunshot wound with non-life-threatening injuries. Chesterfield Police said "police believe this is an isolated incident." Shooting on Campus Update - Police scene still active and the campus remains on lockdown. Continue to avoid area. The university's website says the Petersburg, Virginia school located about 24 miles south of Richmond was celebrating the final day of its homecoming. An investigation is ongoing. No further information was immediately available.